Now, a disclaimer, these are obviously my opinions and of course people will disagree with me, that’s OK. There’s always two sides to the story and of course, what doesn’t work for me might well be a pot of gold for someone else! I just want to make sure I’m balanced with my posts: I wax lyrical about a lot of products yet, as an avid reader of a lot of blogs, I’m always super appreciative of bloggers that are honest and say when they aren’t in love with a product (I generally seek out a small handful of different opinions and go with the majority!). I figure it’s time to give back to the blogging community! 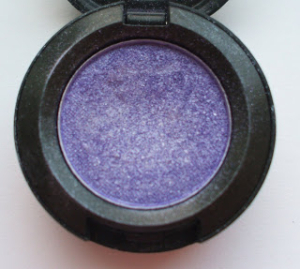 So, here’s a few products that won’t be getting repurchased for my beauty stash. Gutted. I wanted to love this product. I’m a massive fan of Cara, the beauty blogging brains behind the blog ‘Maskcara’. Cara is the queen of contouring and I’ve spent many hours stalking her via her blog and Pinterest page. So, when Cara announced late last year that she was putting out a new kind of revolutionary contour foundation kit – I was hooked. A friend (also a Cara fan) and I purchased the medium IIID foundation online and had the item dispatched to little ‘old NZ via You Shop. The idea behind this duo cream foundation is blinking genius: It comes with two colours: One is a highlighter, one is a contour. I’ll cut to the chase: I can’t get this to apply easily (I have tried every brush and sponge I own and my fingers). I also can’t get it to blend. Disappointingly with my oily skin, I’ve got a glow on that’s reminiscent of the two hours I spent scrubbing my shower when we moved into our house (the previous owners were clearly dirty mingers, but don’t get me started). Yes, I did set the foundation with a powder. Also the foundation was too light for me and I’m reasonably fair skinned: The contour foundation was virtually invisible on me, so much so I went over the top of it with a bronzing powder to get the desired effect. Long story short: I’ve tried wearing this foundation numerous times and, unfortunately I’ve had the same result each time. Unfortunately my friend Alison has had exactly the same experience. This foundation is getting gifted to a friend which is a real shame. Not a good use of US$26 plus international shipping costs. Again, I had high hopes for this BB cream, as I’m a big fan of a light to medium base and I just love BB cream in the warmer months to even out my skin tone, protect me from the sun and, well, make me look better! I belong to a Facebook group called Makeup Obsessives were lots of people had given this cheapie foundation the thumbs up. Fortunately I got it on sale for about $11 so my purse isn’t protesting too much! What’s the problem? 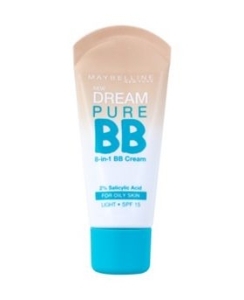 Despite claiming to be a BB cream for oily skin it just didn’t last on my skin. I usually use Garnier’s BB cream for oily skin which has good lasting power and, well, this one didn’t. I get three hours out of it before it slides off my face and I look like I’m not wearing anything. I have tried this with and without a primer, with and without setting it with a powder, applying it using different tools: It makes no difference. Also it’s slightly too light and I got the medium. Sigh. On a positive note, I did get Rimmel’s BB cream for oily skin from Kmart for $5 and that’s a cracker. These are cult lip balms that are raved about in the beauty community so I was grinning like a Cheshire cat when I spotted these at my local supermarket and I biffed one in the shopping trolley with reckless abandon. Well, I’m bucking the trend, I don’t see what the fuss is about? Cheap? Yes. Cheerful? Well, the packaging is pretty. Do the job? Nope. These don’t absorb into the skin at all and I’m not repurchasing, despite only costing a few dollars. They claim to have eight hours of hydration, I don’t think I got eight minutes. Probably because they contain mineral oil. Luckily I’ve discovered EcoStore lip balm (Translation: There’s no looking back now). In general I like Maybelline, particularly their lipsticks, but, instead of spending NZ$4 on Baby Lips buy a fabulous coffee and have a natter with a good friend instead: That always makes me happy and is therefore a wiser investment of my dollar. Righty – Not in the purposes of name and shame, rather in the spirit of learning and saving our beauty bucks, I’d love to know what products have been ‘a learning’ curve for you. Feel free to leave a comment below! Vaseline Spray on Moisturiser – Does it deliver?